The stocky red roaster peppers from the field are just starting to ripen, so hopefully with some more nice weather we’ll get a lot of those. There’s also a stocky golden roaster out there, which is a new variety trial for me. 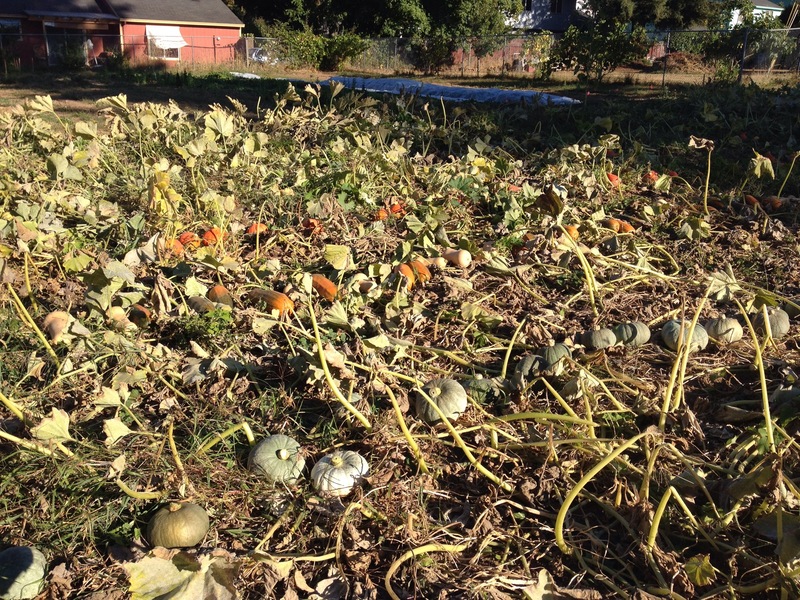 The winter squash has all been clipped and is now curing in the field for a week or so before being put in storage. You can see the rows of various types of squash in the field here. Next week you’ll probably see some hakurei salad turnips making their initial fall offering. The summer squash and zucchini are done for the season, as are the cucumbers from the field. But the cukes in the hoophouse are still going strong. Expect a bit more lettuce here and there in the coming weeks – some cut, and some heads. This may alternate a bit with arugula and the mesclun mix. Then the salad will move into the chicory/radicchio/escarole direction. In the coming month you’ll also see some potatoes and perhaps winter radishes as well. We’ll probably do one more big basil harvest before the end of pesto season with some garlic to do it up. There are some nice red mustard greens that you’ll see a time or two as well for some cooking green variety, as well as an all-pink-stemmed swiss chard. 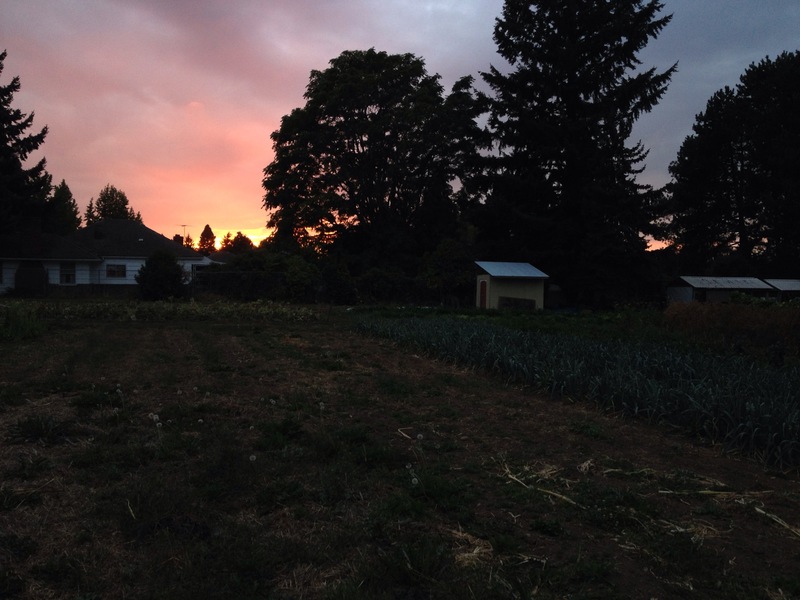 Here’s a sunset I tried to capture the other evening at the farm. The phone camera doesn’t really do it justice.